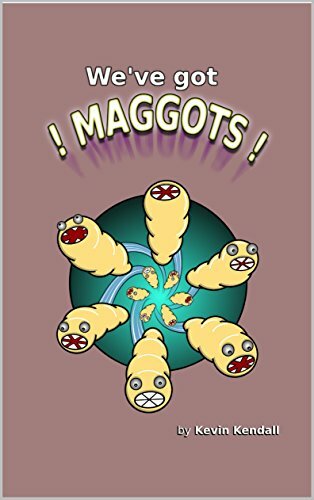 Blog Post ➡ #FREE #KIDS #KINDLE #BOOK ➡ We've Got Maggots! Fat ones. Thin ones. Crawling from the bin ones. We've got Maggots! Hilarious fun, but also very educational, this illustrated picture book follows the life cycle of that most irritating of insects, the common fly. It begins with the havoc caused by maggots, follows them as they disappear and pupate, and finally sees them emerge as adult flies, ready for a fresh round of destruction. Finally, the cycle of life goes full circle as the flies lay eggs which hatch into new maggots. Following the story is an informational section, structured in a way that turns learning into an easy and automatic process. This part of the book is packed full of valuable information about the natural world. Finally, there is a drawing tutorial, where you can learn to draw your own maggots by following a series of simple and illustrated steps. We've Got Maggots has appeal for a fairly broad age range, and caters for different educational levels. Filled with entertainment, education, and skills development, you can download the eBook to your Kindle device, or choose the paperback for a more permanent addition to your bookshelf.